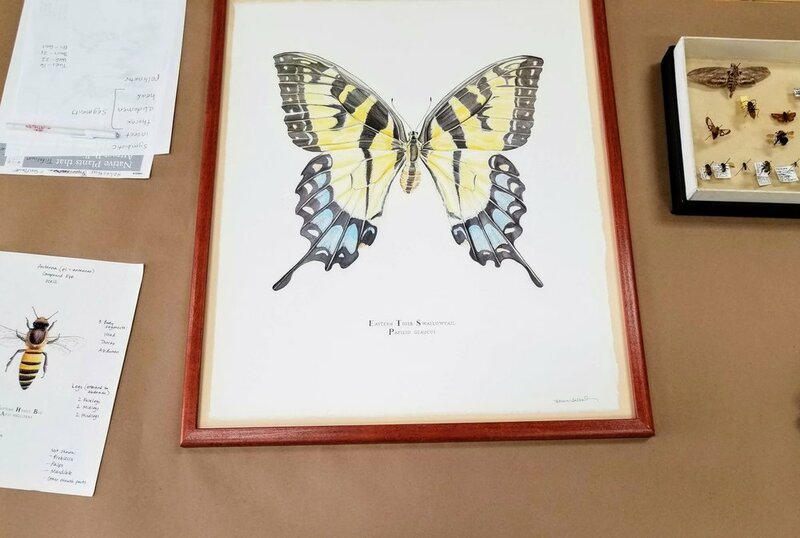 Birds, Bees, and Butterflies -- Oh My! 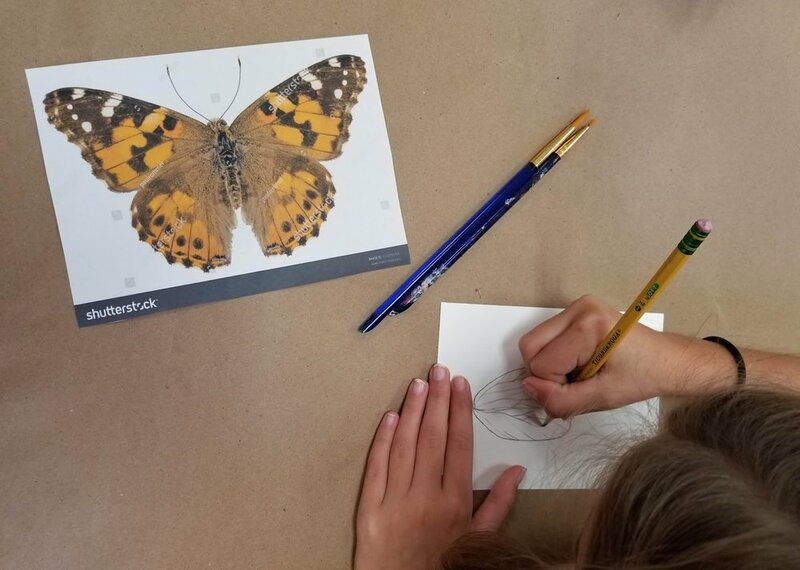 Students in Rockland’s South School kick off the fall arts-integration unit Birds, Bees, and Butterflies —Oh My! 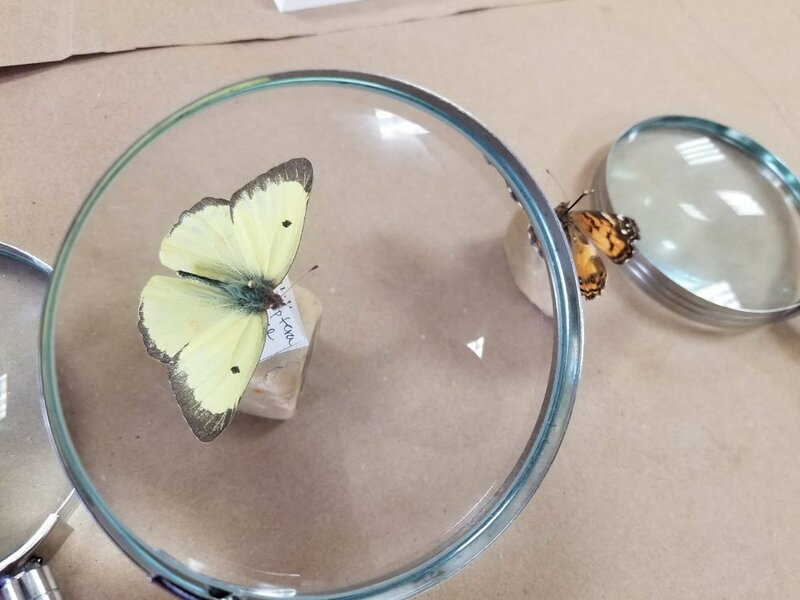 During this visit students practice “thinking like a scientist” and expand sensory language with poetry activities in the galleries. 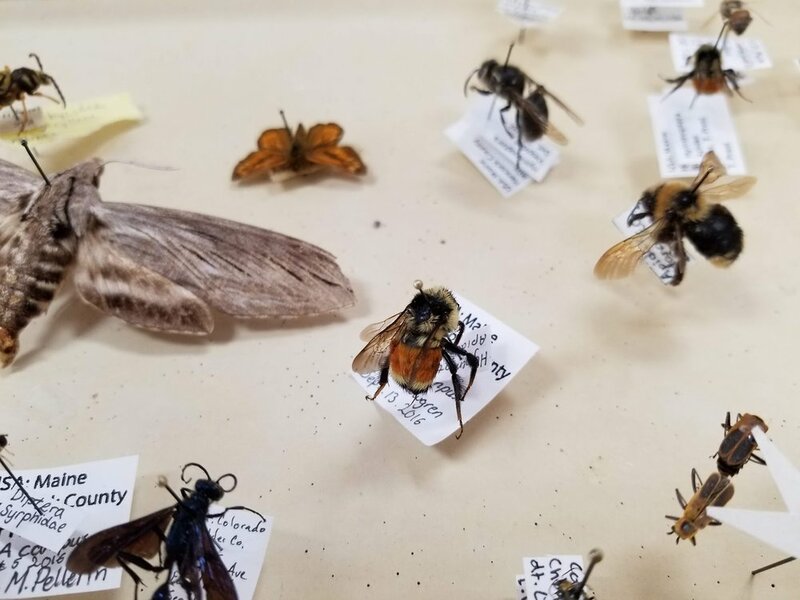 In the studio, we examine the symbiotic relationships of our local pollinators through careful noticing and scientific illustration. 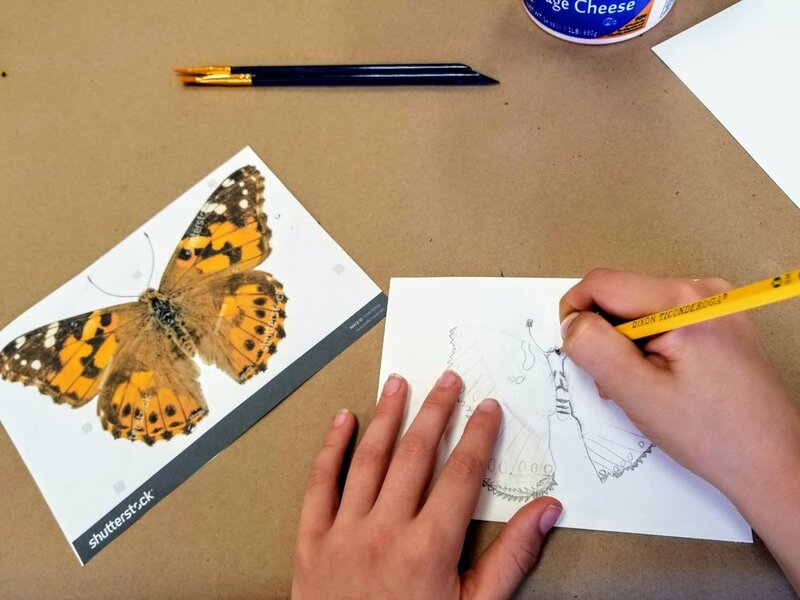 In our first visit, students study the American Painted Lady butterfly’s relationship to sunflowers and the Clouded Sulfur butterfly’s relationship to white clover plants. 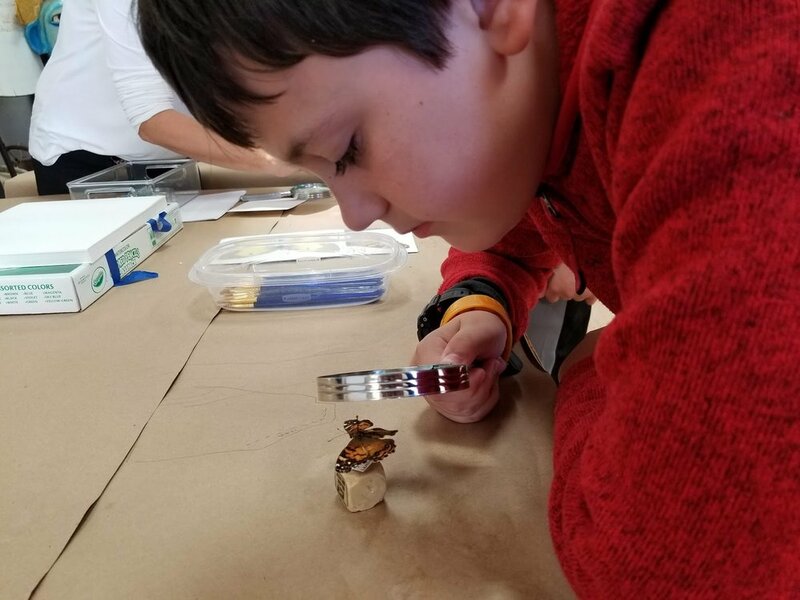 Line of Inquiry: What qualities make an efficient pollinator?